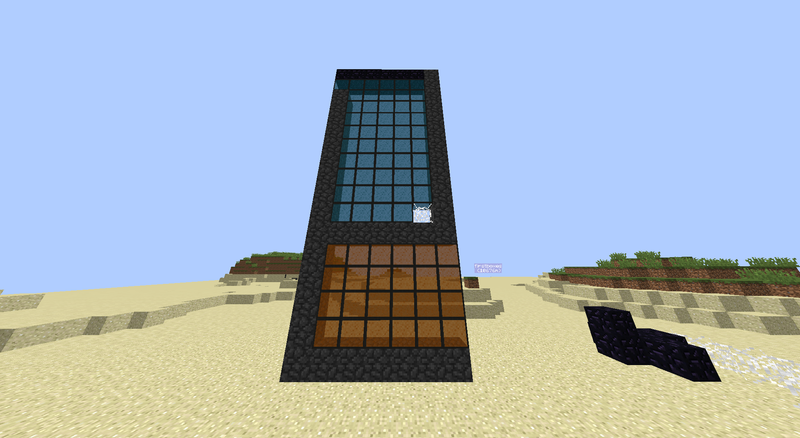 Discussion in 'General' started by lapisplaysmc, Feb 11, 2019. Is it unfair for admins to remove a defense during a raid without notifying the defending faction? Is it unfair for the raiding faction to sit on reporting the "illegal" defense for 2 months to save removing it for their raid? Don't make illegal defenses. Boom. That's not actually true. Cobwebs aren't allowed if you use them like a sign defense, which doesn't apply to the way you raided. Case closed. If you have an illegal defense and are being raided, and the raiders join the ts, admins absolutely WILL remove that defense so that the raiders can finish what they are doing. If you don't want that to happen don't break the rules. Ypperin told me I should clarify this so here you go. The defense I had was technically illegal, but only because it would cause a regular cannon to have to shoot more than once to get through one flat wall. I have a new form of the defense that IS legal and would have been functionally identical to the illegal defense that was removed. Therefore, I argue that since there would have been no difference between the legal and illegal defenses FOR THIS SPECIFIC RAID, the defense should not have been removed, especially without telling me, especially LITERALLY during their raid. Cross section of the new design they would be shooting from left to right. Do you expect us to be your personal buffer checkers? "Hey Lapis, you are getting raided but you have an illegal defense on your base, can you go ahead and remove it??" Please do not misquote me. I never said anything about a regular cannon having to shoot more than one flat wall. I didn't even specify WHY despite your consistent inundation of "why". You have not had that new defense approved or even looked at. Please don't call it legal as I told you you would have to wait for admins to look at it. The defense was against the rules and remains against the rules period. I'm pretty sure using cobwebs are illegal because it makes it so that you cannot stack sand in that block as well as most of the time people can struggle to blow up the webs, whereas something legal that does a similar thing would be slabs except those do blow up and aren't bannable. Ik you are trying to make your base unraidable because I guess you are too scared to lose anything and you decided to use something that obviously isn't allowed. Dont be surprised when it comes around and bites you in the arse... As for your assumption that your "new defence" will be allowed just because you think nobody's seen it before or something doesn't make it legal. Anything that makes a base impossible to raid will most probably be removed as it defeats the purpose of the game that is factions. Ur new thing looks like you are webbing your walls but using 1 web at the bottom against the wall to prevent people being able to sand stack, and since that is probably the case I would not recommend that because then in 2 weeks time your gonna be right back here making your salty little rant about how you cannot ever be in the wrong and how its everyone else's fault that you got raided. So first you break the rules, and now you sit here complaining that an admin is wrong. Not only have you broken the rules, but you continue to hold a position on the issue which undermines the authority of the staff team. People like you just cause unnecessary tension within the community. It is one thing for salt to exist between factions due to what has happened within the game play, but things like this are just ridiculous. You just don't understand the situation.